Blessed Alexandrina of Balasar was born March 30th, 1904 in the parish of Balasar, in Portugal, and was a Portuguese Mystic of the Eucharist. She has written many works, which have been studied in Italy, by Fr. Umberto Pasquale. She sewed garments along with her sister in Balasar, as a teen. Alexandrina said in her memories that when she went with other girls to the countryside, she ran from them and picked flowers that she later used to make flower carpets for a local Church, Senhora das Dores Church in Povoa de Varzim. One day, she started bleeding from her head, due to a crown of spines. She said Jesus spoke to her and called her Alexandrina das Dores – Alexandrina of Sorrows. In March of 1918, at the age of 14, an incident changed her life. Three men one of them being her former employer, tried to break into her room. She tried to escape them by jumping from her window, to the ground 13 feet away. She barely survived, and her spine was broken from the fall. She suffered gradual paralysis that confined her to be from 1925 onward. She remained bedridden for nearly 30 years. Alexandrina requested Fr. Mariano Pinho, and several Bishops from Portugal to write Pope Pius XI to consecrate the world to the Immaculate Heart of Mary. Cardinal Eugenio Pacelli, who later became Pope Pius XII, was the secretary of the State of the Vatican, and later performed the consecration to the world. According to her Vatican biography from March 1942, for about 13 years until her death, she received no food except for the Holy Eucharist. Her weight dropped to 73 pounds. Medical doctors with no conclusion examined her. Based on the advice of a Priest, her sister kept a diary of Alexandrina’s words and mystical experiences. According to her Vatican autobiography, Jesus spoke to her at on point saying, “You will very rarely receive consolation. I want that while your heart is filled with suffering, on your lips there is a smile”. In 1944, she joined the “Union of Salesian Cooperators”, offering her suffering for the salvation of souls and for the sanctification of youth. Based on her request, the following words were written on her tombstone; “Sinners, if the dust of my body can be of help to save you, come close, walk over it, kick it around until it disappears. But never sin again; do not offend Jesus anymore! Sinners, how much I want to tell you, do not risk losing Jesus for all eternity, for he is so good. Enough with sin. Love Jesus, love him”! In Ireland, there is an Alexandrina Society that spreads knowledge of her life and teachings. The aims of the society are; To spread devotion to Alexandrina and make her known; To pray for the conversion of sinners; To pray for Priests and acknowledge any favors received; To pray for member’s intentions. On April 24th, 2004, Pope John Paul II declared her “blessed” and declared, “Her secret to holiness was love for Christ”. Blessed Alexandrina of Balasar was a spiritual young girl that was a mystic from Portugal. Trying to escape three young men that tried to break into her room, she jumped from her window to escape. She broke her spine, and was paralyzed. 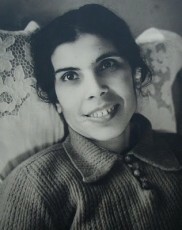 She remained bedridden from the age of 14 until she passed at the age of 51. For the last 13 years, she survived only on the Holy Eucharist. She maintained the weight of 73 lbs, with no medical explanation. She was a mystic, and Jesus spoke to her. She requested that the world be consecrated to the “Immaculate Heart of Mary” and Pope Pius XII later did just that. She joined the “Union of Salesian Cooperators”, offering her suffering for the salvation of souls and for the sanctification of youth. She fully united her sufferings to that of Jesus, for the salvation of souls, requesting that we “sin no more, Jesus was that good”. The cause for her canonization is underway, and in 2004, John Paul II beatified her.